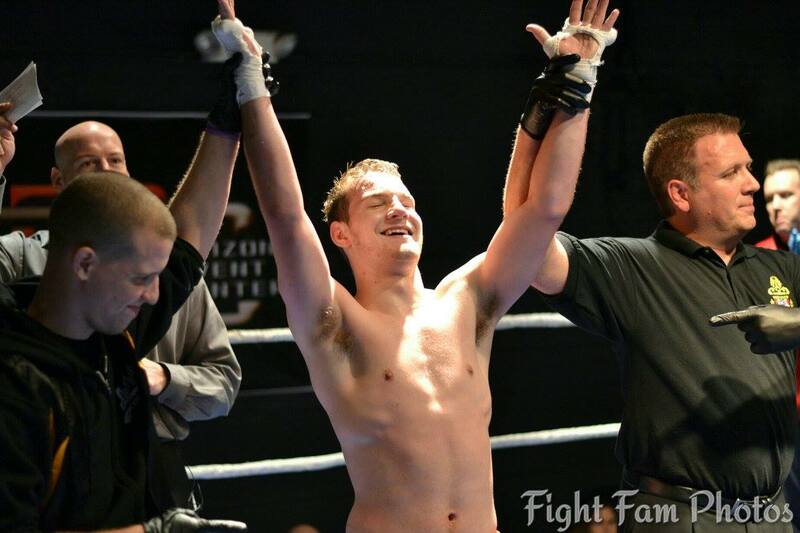 At last month’s Bounded Fist, John Bruer won his first adult fight. His opponent, Nathan Ward, was a tough match, but John’s hard training and tenacity allowed him to obtain a unanimous victory by decision. A big congratulations to John for this important victory. Hard work, focus and consistency has paid off once again.